Distance: As far as possible on Concept 2 rowing machines or SkiErgs between January 1st and 31st! February 10, 2019: Eighty-four alumni, students & friends pitched in to row 11,619,041 meters in the annual C2 January Virtual Team Challenge (JVTC). For the challenge rowers had to row as many meters as possible between January 1 and January 31 then log their daily meters using the Concept 2 Logbook. The results were then ranked against other teams. The SARA team finished in 19th place out of 691 teams -- right in line with previous years where we're in 19th or 20th place! Thank you to everyone that participated. The Case/SARA team returned to stellar form by beating both the alumni and students team from the University of Chicago. Our alumni beat their alumni for the fifth year in a row, and our undergraduates beat their undergraduates for the second time in a row. The combined UC teams rowed a respectable 4,301,189 meters, but our combined total of over 11 million left little doubt this year. A new competitor emerged last year from Colby College with the team name Snow Pond Training Center. They pushed all month and their team's combined student/alumni team pulled just under 10 million meters for 21st place. Leading the charge for SARA this year were alumni Dan Bachmann and Mark Schoenenberger who both pulled over 400km! The top undergraduate finisher was Dani Pezzuto with 273,004m. 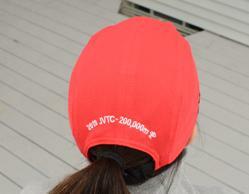 Thirty-one people passed the 200km mark this year to earn a free hat. Congratulations to everyone and a special thank you to the 31 alumni and students earning their 2019 hat. 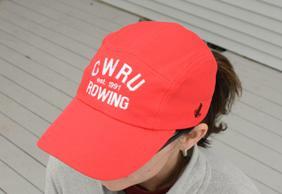 Free hat given to team members rowing more than 200,000 meters!